Whisked away from us, Kenny Craddock remains both irrepressible and irreplaceable. As well as for his peerless abilities as musician, composer, arranger and producer, I miss Kenny for his true and special friendship over the last twenty or so years. Right now it feels like daylight robbery. The undisputed UK High Priest of the Hammond is dead. Long live the High Priest! It was on the suddenly popular Hammond organ that Kenny first came to musical prominence, having initially played guitar with his elder brother Brian’s band when still a schoolboy. His skill on this unwieldy instrument made it increasingly obvious that he was an outstanding musician. After working with local bands The Elcorts, and New Religion, he decamped in 1968 to London with Alan Price protégés Happy Magazine, which featured Yes drummer Alan White, “Kenny was one of the finest most talented musicians I have ever worked with”, and Peter Kirtley who became a life lonf friend and collaborator on many projects,. In 1969 they released two Price-produced singles, Satisfied Street and Who Belongs to You on the Polydor label. Terry Doran, George Harrison’s right hand man, became a good friend who would often throw sessions or gigs our way. Through Terry, Kenny was invited to play piano on Ringo Starr’s April 1971 hit It Don’t Come Easy. Sessions on a George Harrison album of Indian Music followed, which led to him being asked to play on All Things Must Pass, Harrison’s multi-million selling triple album. Unfortunately a bad case of sunstroke led to Kenny having to cancel the sessions, ”It was probably the worst bit of timing in my entire life.” Although his friends disagree. In 1971 Kenny met and married Sue, with whom he had a son, Jamie in 1973.During this period he lived in the Suffolk village of Leiston. with Simpson’s Pure Oxygen, a seven piece band formed with old friends Alan White, Peter Kirtley and myself, and the horn section of the now defunct Airforce. On a three month tour of the USA in 1972, Kenny played with Charles Mingus’ drummer Danny Richmond, another source of invaluable experience. On his return Kenny settled with his family in what had now become the much loved surroundings of Suffolk with forays into London for sessions. 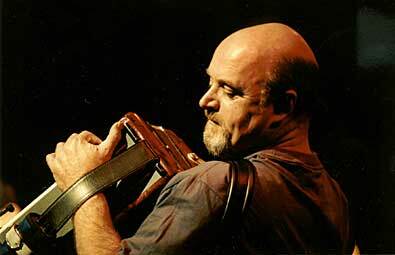 During this period he became a close friend of Lindisfarne’s Alan Hull, and played on Pipedream, Alan’s first solo album after the Lindisfarne break up. A long and fruitful relationship with Hull culminated in Kenny’s production of the Lindisfarne album Elvis Lives on the Moon and Hull’s solo album, Back to Basics , which featured songs co-written by Kenny. He worked with so many musicians during his long career, notably Gerry Rafferty (1980-84). Van Morrison (for whom he was musical director 1984-85), Mary Black , Paul Brady, Billy Bragg (Talking With The Taxman About Poetry), Liane Carroll, Liam Genockey, Christie Hennessey, Artie McGlynn, John Pearson, John Wesley Harding and the bands The Zodiacs, The Liars, and Pass the Cat. In 1993 Van Morrison recorded the album‘Too Long in Exile’ which includes ‘Before The World Was Made’ a poem written by W.B. Yeats which Kenny had set too music. He and Sue divorced in 1988 and his happy relationship with partner Julia lasted until his tragic death on May 30th as the result of a car accident in Portugal, where he and Julia had embarked on a new life together. He was utterly dedicated to music and had recently completed his first solo album Mad as the Mist and Snow. Julia writes ‘ Last year, Kenny and I decided to make a break for it and found ourselves living on the side of Foia, the highest peak in the Monchique mountain range in the ‘interior’ of the Algarve. We had such a great time and Kenny had already met many musicians from all over the world there. Particularly, Jose-Antonio who is a carpenter and a drummer. Jose-Antonio had already offered to set his drum kit up in Kenny’s new studio….. in the last 3 months, Kenny and I were involved in the restoration of a house out there. Needless to say, it was a massive project and while I drove manically round the Algarve trying to find materials, Kenny was labouring hard, something he both enjoyed and found quite a surprise. Although the tributes from his many, many friends are far too numerous to mention, they have been paid nonetheless. For my part I have lost a truly great friend, soulmate, confidente and collaborator, and I shall miss him more than I can adequately describe. During the thirty four years I played and worked with him, I can say without exaggeration that I never heard him play a single inappropriate note, except of course when his wicked and wonderful sense of humour took over. He made me laugh like a drain. Rest in Peace. Kenny Craddock, musician, composer, producer.